How far to push the bearing? I just installed a bunch of new engine bearings. One of the bearings gave me some trouble. There is an ambiguous directive in the shop manual. 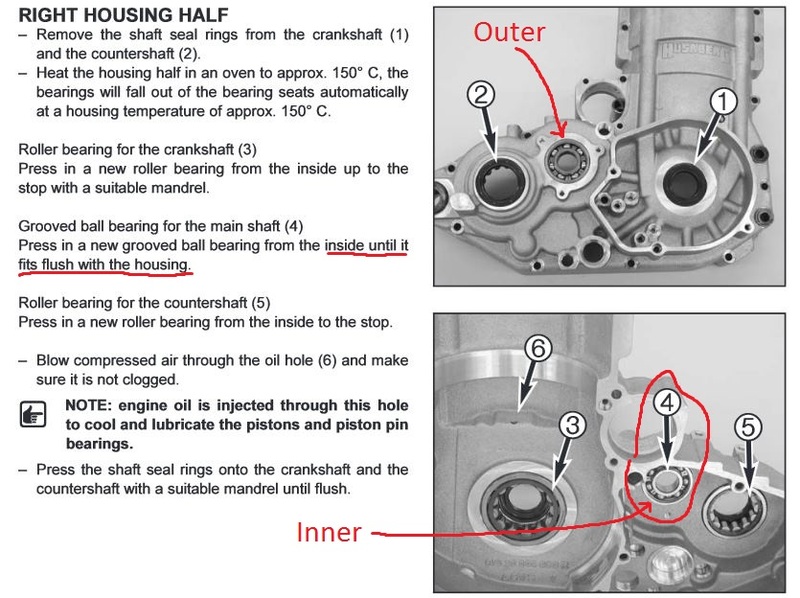 It says to push the bearing until it is flush with the housing.... flush with the inside of the housing or outside of the housing? what you don't shove in, the clutch slave will for you later.....up to you! Last edited by bushmechanic; May 7th, 2015 at 02:42 AM.